The author walks us through the process of getting to know a building. If anyone stands out today as a translator between the architectural profession and the general reading public, it is the Canadian-American writer, architect, and educator Witold Rybczynski. In eighteen books and hundreds of articles, Rybczynski has elucidated the practice, context, and value of the design of buildings and cities in prose that is eloquent as well as accessible to a broad audience. In his new book, How Architecture Works: A Humanist’s Toolkit, he walks us through the process of getting to know a building. We start big, with the ideas and the setting, and progressively zero in on the structure and the details before considering the touchy matter of taste. 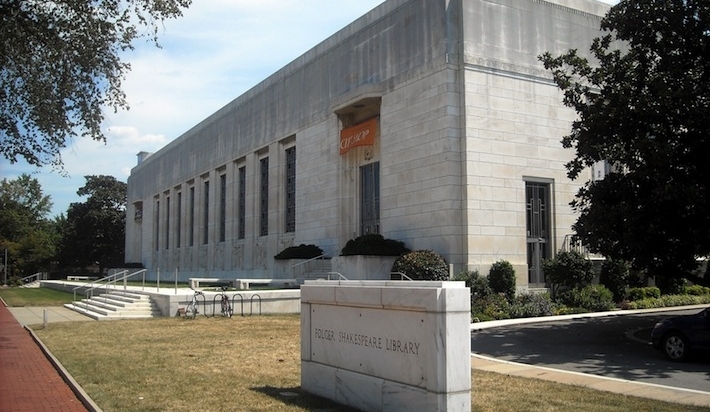 Stripped classicism: Paul Philippe Cret's Folger Shakespeare Library (1932). Rybczynski defends architectural revivals and modern classicism. "Granting that architecture is always a reflection of the moment, that moment may involve looking back, as well as looking forward." 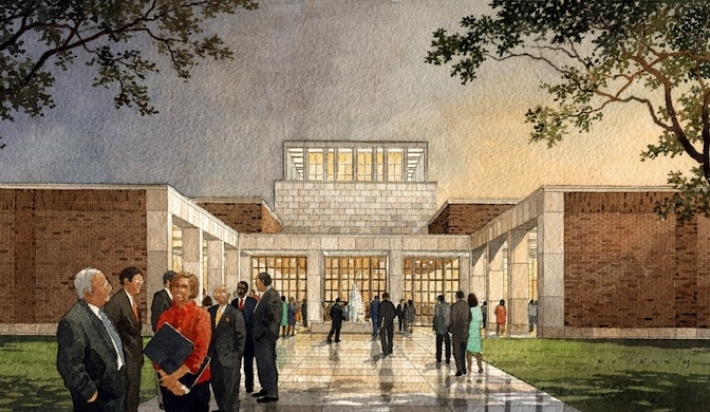 Stripped classicism: Robert A.M. Stern's Bush Presidential Center (2013). Rybczynski defends architectural revivals and modern classicism. "Granting that architecture is always a reflection of the moment, that moment may involve looking back, as well as looking forward." Setting: Frank Gehry's Walt Disney Concert Hall (Los Angeles, 2003). 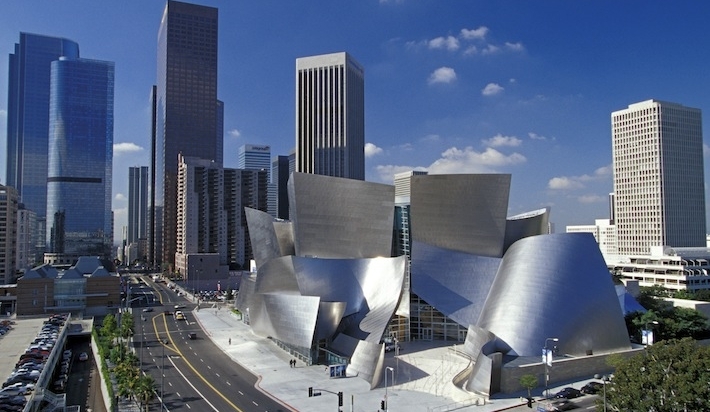 Gehry's metal wrapping made the kind of statement the city wanted to spur development in downtown LA. Photo courtesy of Gehry Partners. 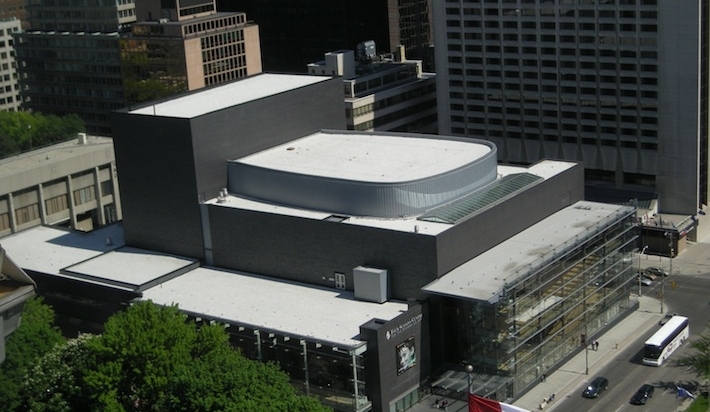 Setting: Jack Diamond's Four Seasons Centre for the Performing Arts (Toronto, 2006). Toronto's downtown was already thriving, so Diamond didn't hide his boxy composition and chose muted dark-brown brick for three of the facades. Photo by Neal Jennings. 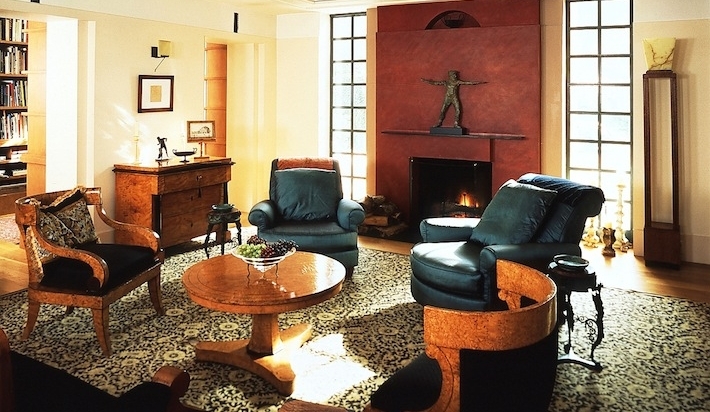 Rybczynski takes us inside the homes of Michael Graves and Frank Gehry, among others. Graves' "Warehouse" shows his fascination with Rome spanning many periods of its history; everything in the house is of a piece. Photo courtesy of Michael Graves & Associates. Amanda Kolson Hurley: In the subtitle of the book, you specify that this is “A Humanist’s Toolkit.” How do you define humanism, and why did you want to write an architectural primer from a humanist perspective? Witold Rybczynski: I recently read a tweet that quoted Jacques Herzog: “No theory of architecture will survive—the only thing about architecture that survives is architecture.” I agree with that. For me the actual experience of a building is at the center of things. This has several ramifications: it privileges built work over theoretical projects; it doesn’t separate the practical from the aesthetic; it also accepts that buildings are experienced in bits and pieces, which makes them very different from novels, plays, and paintings. One of my favorite books is Geoffrey Scott’s The Architecture of Humanism. Scott wrote that the enemies of humanism were chaos and inhuman order. I see an awful lot of that in today’s architecture: buildings that celebrate chaos, or thumb their nose at conventions, or create an inhuman or mechanistic atmosphere, or ignore history. This book is my response. How Architecture Works: A Humanist’s Toolkit by Witold Rybczynski, 2013 (Farrar, Straus and Giroux). AKH: Regarding chaos and nose-thumbing, some readers of the book will be surprised how sympathetically you write about Frank Gehry. People think of his architecture as willfully chaotic and iconoclastic. WR: Gehry is a self-described humanist. I don’t find his best projects to be chaotic, although they are expressionistic. The exterior of Disney Hall responds to its surroundings, while the actual hall is axially symmetrical and calm; the skin of IAC in New York is disciplined, especially compared to Nouvel’s 100 Eleventh Avenue condos across the street; and the New World Center in Miami is a simple South Beach box—the animated forms are within. Even his house, which so upset his neighbors, has its own order, once you are inside. book this way and limit yourself to 20 or so buildings? WR: There are actually more than 150 individual buildings referred to in the book, but as you say a select number appear more than once. This is not necessarily because they are “better.” The main reason is practical, that is, I didn’t want to lumber the narrative with too many examples (during the editing process I removed many examples for that reason). It’s like having too many characters in a novel, you lose track of who’s who, and reading becomes a chore. I am not trying to be representative; this is a book about ideas, not about architects. AKH: You champion eclecticism in style, quoting Eero Saarinen: “the style for the job.” You point out that most of us are happy with traditionalism at home, corporate minimalism at work, and expressionism at the opera house. If that's true, why do designers and critics still take sides? Is eclecticism just a convenient way of skirting debate? WR: Is eclecticism a cop-out? I enjoy films by Wajda, Welles, and John Ford, but I also watch The Big Bang Theory and Monk; I like Bach and Randy Newman. So why shouldn’t I like different styles of architecture? Styles have always co-existed. Thus Wren, the classicist, designed a Gothic church; Cram, the medievalist, designed a sort-of Romanesque campus for Rice. However, in the 20th century, stylistic choices became seen as moral decisions: you had to have a flat roof, or primary colors, or ribbon windows. Saarinen rejected that. He once said that the language of modern architecture went from A to B, and he wanted to add many more letters. One of the great “what-ifs” in the history of architecture is what if he hadn’t died at 51? Imagine 30 more years of work—at his pace. It might have changed the whole course of architecture. I’m not sure why architectural criticism today is so restrictive. With the notable exception of Paul Goldberger, most critics have very narrow architectural tastes, and simply reject—or ridicule—what lies beyond. After a lifetime of teaching, writing, and designing, I’ve concluded that great architecture is a rare miracle—everything has to come together: budget, client, program, site, and of course inspiration. Consequently, it seems shortsighted to reject an excellent building on purely stylistic grounds. AKH: Is criticism so restrictive? It's hard for critics now to be like Herbert Muschamp, unabashed champions of one style or another. I think with overtly historicist styles, though, there is the problem of pastiche, which critics are allergic to. WR: What I meant is that most critics seem unable—or unwilling?—to judge a building on its own terms. Bob Stern and Renzo Piano must be assessed differently, but there should be room for both. Yet when Stern uses old-fashioned conventions, he is met with taunts of Disneyfication, nostalgia, or pastiche. For me, what’s important is that an architect has a sense of conviction. Venturi and Scott Brown’s Vagelos Laboratories at Penn, where I used to work, is not one of their great buildings, and I am not a big fan of their brand of mannerism, but its design is a coherent statement. Sometime coherence is enough. Dominique Perrault, you suggest, are good at winning competitions because a one-idea design grabs a jury's attention. Do you think that as architectural culture becomes even more visual, foxes are at a disadvantage? Who's a modern-day fox who is under-appreciated? Yale—what a pleasure. And what a restrained design compared to today’s museums that try so hard. Would Kahn, who relied on insightful (and patient) clients, have made his way in today’s media-obsessed profession? I doubt it. William Rawn, whose work I admire, is a fox. His buildings, such as the new community library in Cambridge, Massachusetts, which I visited recently, incorporate many ideas. I shouldn’t say he is under-appreciated since he won the Firm of the Year award. But you really have to spend time in his buildings to understand his accomplishment—they don’t necessarily jump out at you from the printed page as so much contemporary architecture does. William Rawn Associates' concert hall at Tanglewood recalls a New England textile mill. Rawn is among the architects Rybczynski calls "foxes": They bring many different ideas to a building rather than one big one (those architects are called "hedgehogs"). AKH: For me, the most appealing chapter of the book may have been “Details,” which compares more than a dozen balustrades to reveal the small but important decisions that went into them. Why balustrades? WR: In The Look of Architecture, I wrote that it should be possible to reconstruct an architect’s intentions from a small detail, just as an archaeologist reconstructs a pot from a few shards. Several years ago I started photographing balustrades. I reasoned that the basic requirements for a balustrade are fixed, so the design is really completely up to the architect. I suppose I could have done the same thing with door handles, or baseboards, but I chose balustrades. The handrail of the Nasher Sculpture Center in Dallas, designed by Renzo Piano Building Workshop, 2003. Photo: Witold Rybczynski.